As many of you will already know, UWA Publishing recently announced the establishment of the Dorothy Hewett Award for an Unpublished Manuscript. The award, supported by the Copyright Agency’s Cultural Fund and 720 ABC Perth, offers a cash prize of $10,000 and a publishing contract with UWA Publishing. It’s open to established and emerging writers whose manuscript has a connection to Western Australia (landscape, people, history, residence/birth of the author). Submissions are open now and close on 4 September 2015. To celebrate the inauguration of the award, UWA Publishing and 720 ABC Perth are hosting a Writers Forum on 13 August, 5.45 for a 6pm start, at the ABC Studios at 30 Fielder Street, East Perth. The forum will give writers the opportunity to gain greater insight into literary awards, the publishing process, and the Western Australian writing scene in general. Bookings are essential. The panel will consist of Afternoons presenter Gillian O’Shaughnessy, UWA Publishing Director Terri-ann White, and me. UWA Publishing will be live tweeting from the event, so if you’re not based in WA or can’t attend, tweet them in advance with any questions you’d like to ask—make sure you use the tag @uwapublishing. Hewett (1923–2002) is considered one of Australia’s leading writers whose work captures and disrupts ideas of normalcy in twentieth-century Australian culture. 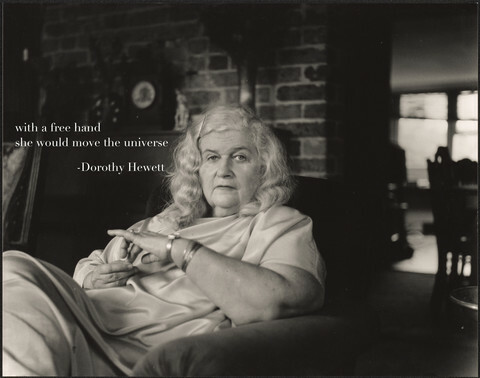 As a staunch feminist and, for a long time, communist, Hewett gave voice to the marginalised. In 1986 Dorothy Hewett was made a Member of the Order of Australia (AM) for her services to literature. It is important to note that Hewett won the Western Australian Premier’s Poetry Award in 1994 and 1995 for her collections Peninsula and Collected Poems: 1940–1995. Great to see another award for unpublished manuscript. Interesting that it’s for established and emerging writers, but I think that’s not a bad thing given how little loyalty there seems to be to writers these days.